Can you believe there is only six weeks until Christmas? How did this happen, why we just got the leaves cleaned up in our yard and all the Fall yard work complete. But like it or not, Thanksgiving is in less than two weeks and Christmas just six weeks away. I believe that you can enjoy a stress free holiday season and do more than just survive, you can thrive! How? Easy. 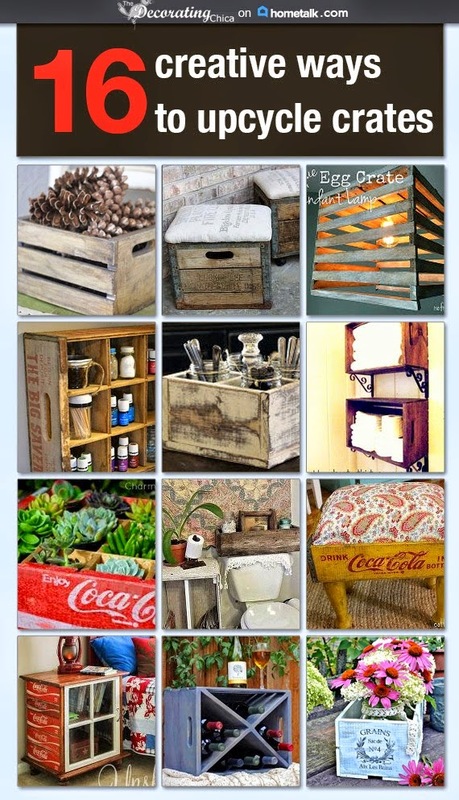 Same crate, aged with leftover paint. Make a list and check it twice. Remember you don't have to do everything and be everything to everybody. Decide what are your priorities and list those first. This should be a gift list and a wish list of 'to do' items and activities. Then list the 'if I have time' wishes. Finances -- don't forget to add your budget to the list and do. not. deviate. from. it. Yes, this can be hard. Especially when you see all those last minute gift ideas and displays. Don't let them tempt you! You will be glad you did not give in. Don't be too hard on yourself. The most important thing about the holidays is time with your family not who has the most stuff or how much money you spend. If you have this mentality, your children will too. Work together! Delegate Christmas duties. Share the baking. Let your kids do the wrapping and don't fret if the gifts are not wrapped perfect. Allowing your kids to take ownership of different aspects of Christmas will help them feel like they are giving back too. Remember to keep the majors the majors, and the minors the minors and you will enjoy this holiday season!